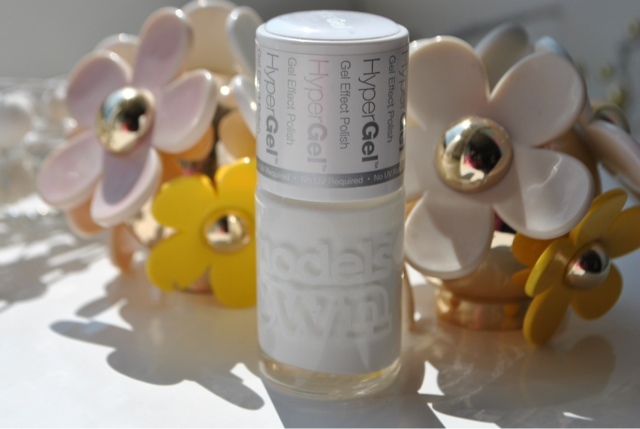 This was sent to me by Superdrug to feature in a post I done for them which will be live very soon! I wasn't a white nail girl before this and I don't think I'd ever buy myself white nail varnish just because I have always thought it looked like tipp-ex. We all know this isn't a good look but if you get it right it doesn't actually look like that. I've never had a Models Own nail varnish before but I have been turned! They're great. 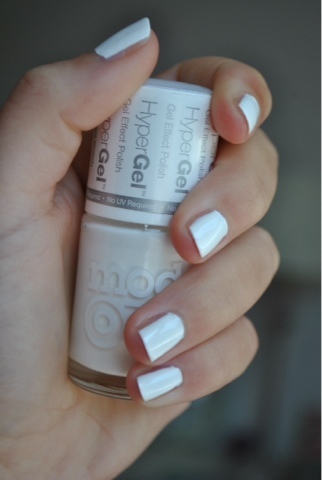 Especially these new collection called Hyper Gel. They're meant to last longer and look glossier and they totally do! Honestly I've been loving this. I have used the shade White Light which isn't totally bright white and I think that makes a difference into it not looking like Tipp-ex. I have used a top coat which adds to the glossiness. It lasts longer than normal nail varnish and doesn't chip easily which is every girls dream polish. How annoying is it when your polish chips and you've just done it. Urghhh so annoying. So this is welcomed with open arms and will feature in a lot of my holiday images as I cannot wait to wear this with a tan! Ooo and my new Primark sandals. What do you think of white nails? Yay or nay? I love white nails! They look even better with a tan, I will definitely be wearing white nails a lot in the summer. Great review!